Once upon a time, I was a fencer. As soon as I knew anything about competitive fencing, I knew that fencing referees had the most difficult job out on the tournament floor. Their days were as long, their decisions more challenging, and their full suits, in my opinion, more uncomfortable than any fencer's. I wanted to become a referee, but I reffed because I thought I should and because I understood timing and right-of-way well enough when staring down an opponent that I thought I'd be decent at calling it. And with practice I did become decent enough, but I never excelled. I lacked the passion, the insight, and the true expertise that great refs brought to each bout. I didn't understand that for the best referees, reffing was another way—and in many cases even their preferred way—to fence. Just like Commander at a friend's kitchen table or drafting at the Pro Tour, judging is a way to play Magic. Judges play a difficult and remarkable role in the Magic community, and the challenges, rewards, and inspiration judges receive from the game are just as satisfying to them as winning a tournament or building a killer deck. Riki Hayashi, a level 4 judge and Organized Play representative for StarCityGames.com, became a judge when he received (and successfully appealed) a bad ruling at a PTQ twelve years ago. "To be fair," he says, "I was already the 'rules guy' among my friends, so I was probably moving in that direction, but this incident still stands out in my memory as the moment when I committed to the idea." While a PTQ call provided the impetus for Riki to become a judge, it's not what has continued to inspire him. "I judge because I love the game of Magic: The Gathering," Riki says. "I feel a strong sense of purpose and accomplishment related to judging, which I find more rewarding than playing." For level 2 judge Serge Yager, judging is about giving back to the community and providing players with the opportunity to compete. "Sometimes giving back means running the tournament instead of playing in it." Level 5 judge Toby Elliott also became a judge thanks to a PTQ, though in his case it was due to winning. 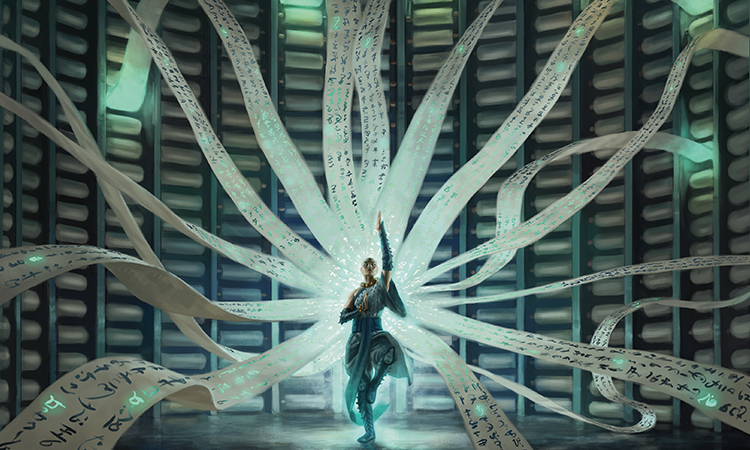 "In those days, winning a PTQ meant you couldn't play for the rest of the season," Toby says. "So, seeing the good that judges could do for a tournament, I offered to help out with the judging for the rest of the summer. As it turned out, I was pretty good at the judging thing." Like it does for Riki, Magic and its community provides Toby with the motivation to keep judging. "I judge because I think Magic is a fantastic game and I want everyone to experience it at its best," he says. "I judge because I've gotten so much out of the Magic community over the years and want to help that to continue for the next generation. I judge because I can take pride in doing something well that makes people happy." Upholding Magic's rules is one of the biggest roles a judge plays, and this often comes with the charge of intervening with and educating new players. "So much of Magic is handled with shortcuts," Serge says. "There are a lot of times at competitive events where newer players make innocent mistakes. These small mistakes can often change the result of a game, and never feel good. My solution to this is to try and explain the 'why' behind the call. If the event isn't too busy I'll approach them after the round and try and give a more in depth answer." For Katie Neal, a level 2 judge in Montana, this opportunity to educate new players is one of the rewards of judging. "If I am able to teach someone in a way that makes them understand, it's a very gratifying experience," she says. "Teaching newer players the rules, mentoring judge candidates, or even teaching experienced players something they didn't know previously always makes for a rewarding experience." Mentorship within the judge community creates its own memorable and definitive moments. "I was at one of the [most recent] PTQs judging a Modern event," Serge recalls. "I had the pleasure of judging alongside Niko Skartvedt, an L3 in my area. He took what looked to be an ugly call, a disagreement between players during mulligans. He walked up to the table with a big smile on his face and squatted down beside them so that everyone was at eye level. Just watching how he defused the situation and handled the players made me re-evaluate how I would approach judge calls, basically forever." "I still remember my very first judge call from my first Pro Tour (Hollywood 2008)," Riki says. "I was appealed, and after he upheld my ruling, Head Judge Sheldon Menery gave me a quick pat on the shoulder and some words of encouragement. If I were to script a movie based on my judging, that scene would be pivotal. (Also, you didn't ask this question, but I would be portrayed by George Clooney.)" For Katie and Serge, judging means community. "I have met so many new people," Katie says, "and have become a part of a tight-knit community that is ever-welcoming and supportive." For players of any experience level, judging presents a new way to engage with Magic. While judging has its challenges, it's not an undertaking that interested players should shy away from. "My advice to anyone interested in becoming a judge is to just do it," Riki says. "There are a lot of great judges out there, but it's important not to compare yourself to them when you are just starting out. Go at your own pace. I've been doing this for twelve years. (Twelve years!) 'When 900 years old you reach...'"
Judging is another way to love and play Magic—one that builds community, engages players, and allows you to experience Magic from a whole new perspective. If judging sounds like it might be a way you'd enjoy playing, don't be daunted; as Katie says, "It is an awesome way to be involved with your local community, and there is also a much bigger community waiting to help and support you." A million thanks to Riki Hayashi, Toby Elliott, Katie Neal, and Serge Yager for their time and their wonderful and insightful answers to my very ordinary questions. To learn more about becoming a judge, click here.